Generally cloudy. High 47F. Winds NE at 10 to 15 mph..
Showers early, then cloudy overnight. Low 37F. Winds ENE at 5 to 10 mph. Chance of rain 40%. 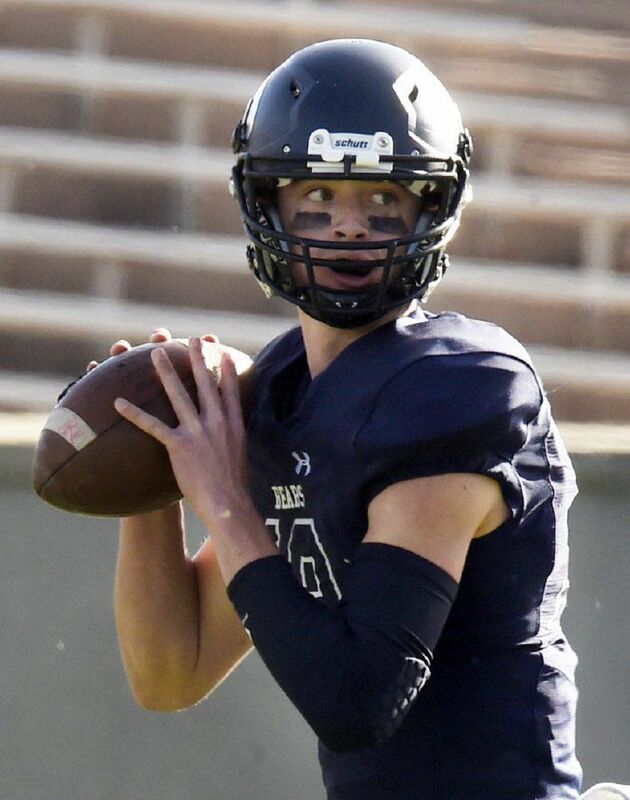 Although the area’s top football prospect is off the market after his January verbal commitment to the University of Colorado, three-star quarterback recruit Ty Evans is still accruing interest from some of the best football programs in the nation. But don't fret, CU fans, Evans is still staying in the Centennial State. Gazette Preps confirmed Tuesday that Evans will graduate from Palmer Ridge in December 2018 to enroll early at Colorado. "Any time a program like that offers you, it definitely is like a hey, whoa moment," Evans said. "Those national championships, it’s crazy and it grabs your attention, but in my heart I know I made the right decision. I know I want to be part of something special and look back and be proud that I was a part of it. I know something special is going on in Boulder." Dan Enos, Alabama’s new assistant coach was formerly the offensive coordinator at Arkansas, where Evans originally committed last summer. Evans withdrew his commitment after head coach Bret Bielema was fired in November. Enos was hired by Alabama at the end of January after a short stint with Michigan - who also extended an offer to Evans. "I built a relationship with him when he recruited me (at Arkansas), and about a month ago he reached out to me that he just got down there and he would be showing coach (Nick) Saban my film. He said, 'We’ll be talking,' I wasn’t expecting anything at that point," Evans said. "And yesterday over the phone he told me that Saban watched my film and wanted to offer me a scholarship and get me down there. It was a pretty short span of time to have such a big thing happen." Since committing to the University of Colorado on Jan. 15, Evans received additional offers from Michigan and Ole Miss. "Every offer I get I give (CU) a call first because I don’t want them to see it on Twitter," Evans said. "They know I still want to be a Buff, and they think that’s great that I keep getting offers, and they tell me more offers will come. "I think it’s a win-win for both of is. It validates me as a quarterback, and it also validates CU as a program, in having an Alabama recruit on their roster. It’s a win-win and they have no problem with schools contacting me." His latest offer has football fans wondering if Evans' star-rating will rise heading into his senior year. In order to move up to a four-star rating, according to 247Sports, Evans must show that he has moved into a category among the top 300 prospects in the nation and be considered an All-American candidate. According to Evans’ 247 profile, he’s ranked No. 392 nationally, and No. 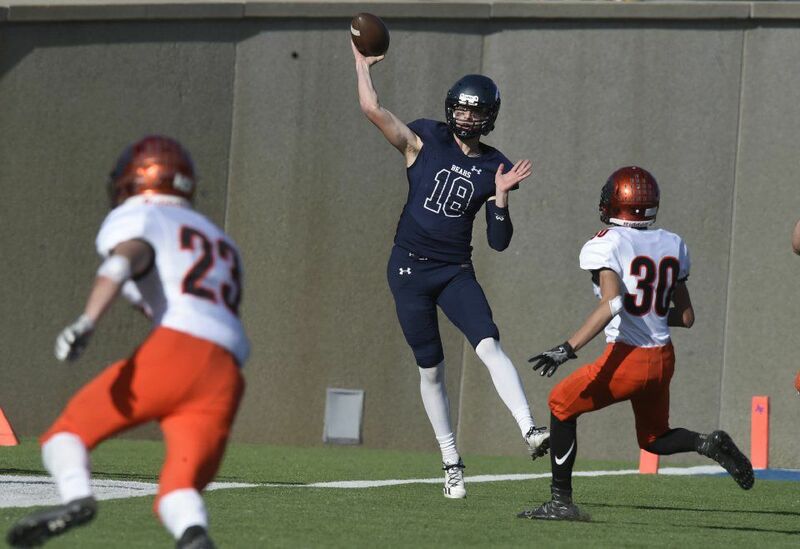 3 in Colorado behind Ralston Valley wide receiver Isaac Townsend and Valor quarterback Luke McCaffrey. Evans' personal quarterback coach and recruiting expert Tim Jenkins said Alabama's offer will only help Evans' rating, but it will be his participation at elite camps this summer that could potentially push him to four or five stars. "The biggest battle he's facing right now is geography," Jenkins said, stating that quarterbacks from California and other states get first looks because that is what recruiters are used to. "But once he gets to these scouting camps and has an opportunity to compete side-by-side with these four- and five-star recruits, it will pump up his ranking big time." Jenkins said he's unsure if Colorado has had a five-star quarterback recruit, noting that McCaffrey is four stars. "But if there's anyone who deserves it, it's Ty," Jenkins said.